We now see the left moving full force to stop what they see as a redrawing of lines in the Supreme Court, we find out now that this was a plan that was instituted years ago, now they are just playing out an old rule book that was written during the Bush administration to halt what they fear is a judicial branch that will uphold the constitution as the highest world of law, not social feelings and current trends. 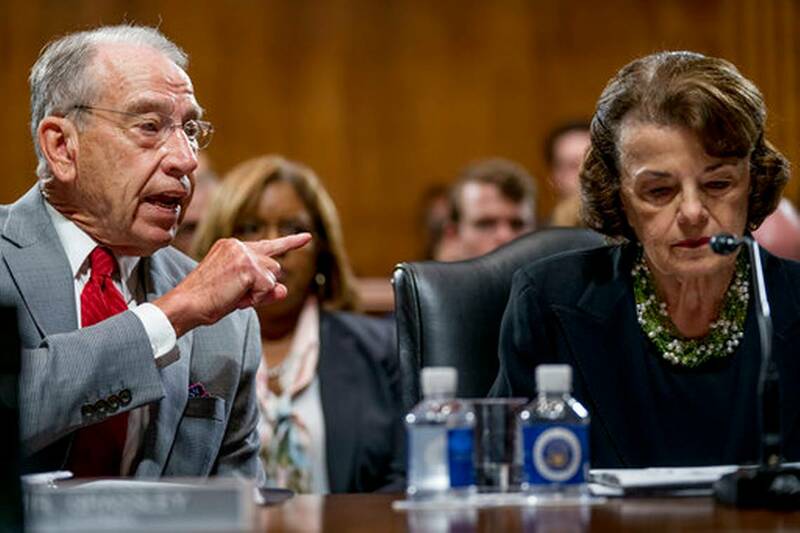 They know that the quickest way to stop this is to start with the sham of sexual accusations, we now hear against Kavanaugh to identical ones, one that nothing is remembered, other then somehow he was involved, the other came out and said she remembered nothing, that is until her attorney aided her in remembering, not sure how this works out. We have seen for years, case after case decided by an activist Supreme Court that has little or no public support, passing laws that are not based on the will of voters, as the founding fathers wished, instead are pushed by an activist court. Were all of these decisions for the worse? No, we have Brown vs The Board of Education and other such laws that were very good for the nation, but like it or not, that is not how the founding fathers envisioned this being done, instead, we have a court that is through judicial powers creating powers on laws that are being stretched to meet political ends, not defining and interpreting laws as the Supreme Court is supposed to do. To state it simply, no court is given the right under the constitution to create laws; they only have the right to define and enforce them. This is why the left is so scared about Kavanaugh and the last Trump pick; they are a strict constitutionalist, something that is an obstruction to all the left wants to achieve. Their highest goal is to redo the constitution by light or by night to create laws that are not, nor ever was the intent of our founders, instead, force liberal ideology on the rest of us. We are now faced with a legislation that is filled with some of the weakest GOP leaders I have ever seen, seems not any of them, with the exception of the Executive Branch has the will or fortitude to stand up to this, we need to start sending messages in the primaries that if they don’t, we can always replace them with a conservative that will do this. We have seen this with the DNC in their primaries, public officials that have served in the Senate and Congress for years are being unseated by the socialist. While I am no fan of the left, I do admit we can learn from them; maybe it is time to do the same with our own, get rid of the ones that will not bend to the will of the voters. At this point I don’t care who this offends, I seriously doubt the accusations of either of the Kavanaugh accusers, both have been hijacked by politicians with political ideology, have much credibility left. Also, when both claim to have had been drunk, you have both that can’t remember when, where, even the dates, yet just the mere accusations is seen as good enough for the left, but only for the conservatives, if they equally applied this, then why is Ellison still within the DNC and serving in Washington, here we see the hypocrisy for all to view. The left has shown us that the law, the constitution, they mean nothing, when they can’t get what they want, they will bring these charades up to get what they wish to with guile, outright lying, playing political games, that matters more than the will of the American people. This week it is the Supreme Court, after that the House and Senate, then the White House. Expect more of this type of thing, accusations that can’t be proven or defended against to grow in size if they find this sort of thing works. NextWhite Privilege, What Is It, How Does It Hold Up To Facts? Democrats, You Can’t Claim Victimhood For Something You Started.